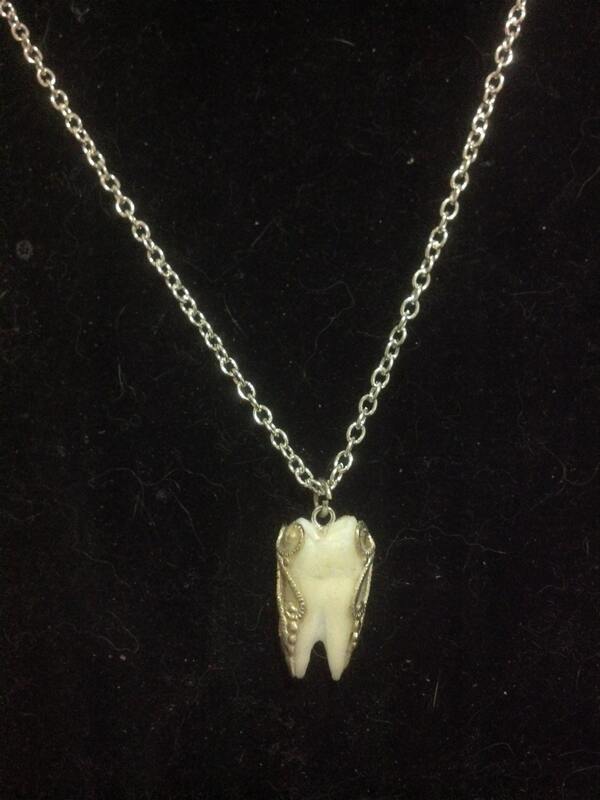 A real human molar tooth embellished with filigree on an 18 inch chain. 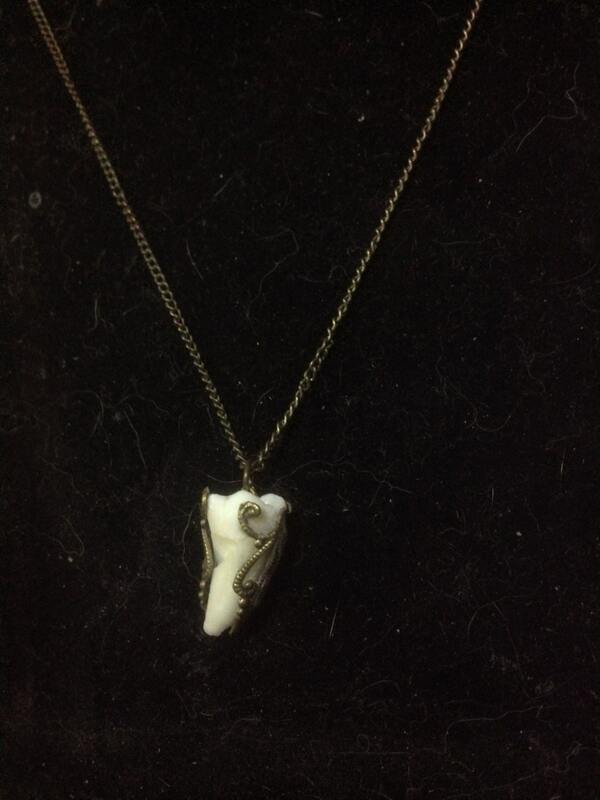 This is a real human tooth embellished on each side of the tooth with hypoallergenic plated brass filigree in your choice of silver plated on a silver plated chain on antique gold on a gold tone chain.Please note that the gold color is antiqued and goes tend to brighten with time to a golder, truer brass color. Teeth are sanitized and cleaned before being lightly shaped and set with filigree. 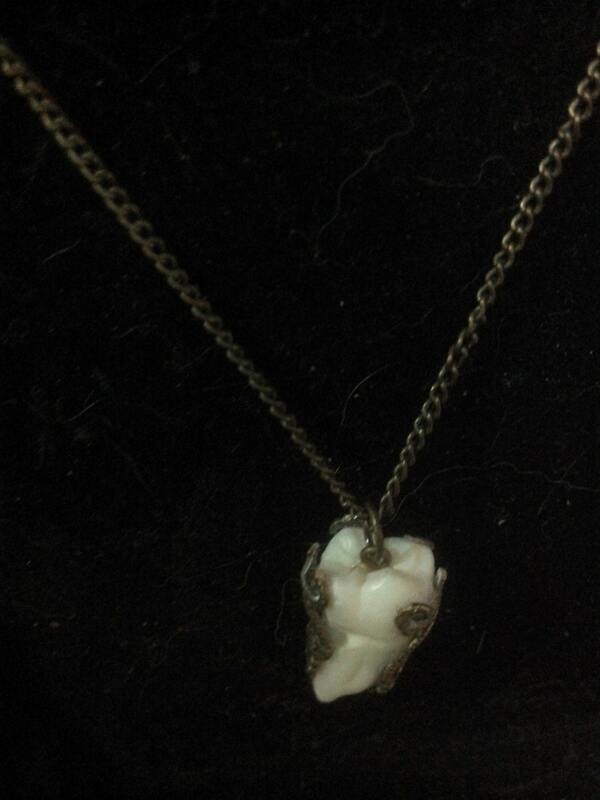 The pendant is coated with an acrylic sealer to protect the tooth and filigree. 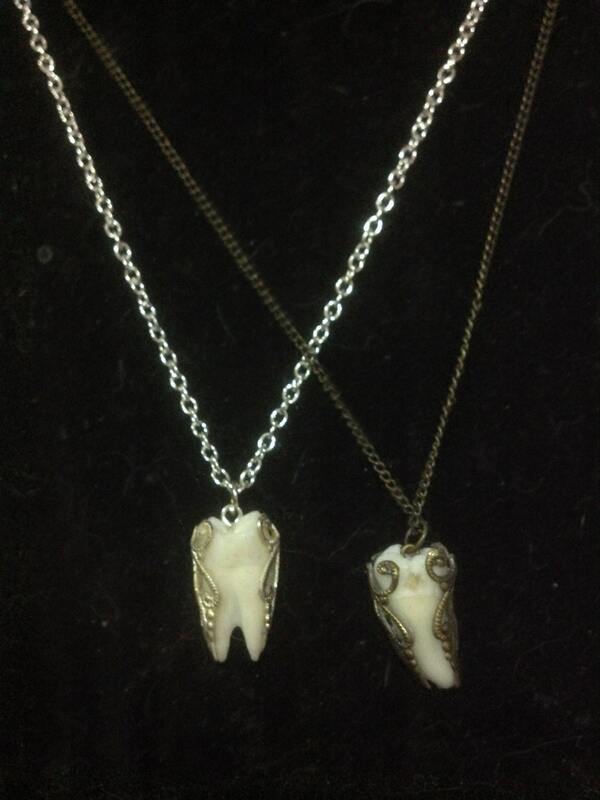 Teeth are natural objects so no two will ever be exactly alike but I will hand pick one just for you. 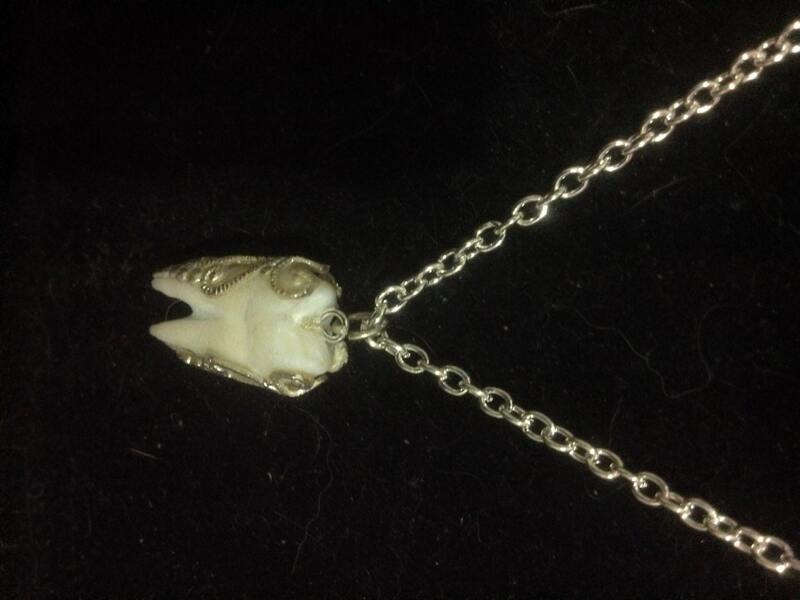 As always all of my teeth are ethically acquired.